The wide receivers surrounding Cutler in 2009: Devin Hester, Earl Bennett, Jonny Knox, and Rashied Davis. Firing Trestman after Year 2 is not a smart idea, Bears fans. Football teams improve with continuity, and Trestman and the rest of his coaching staff need another few years to better implement and improve upon their game plan. Even though the offense has struggled at times, this can be attributed to the playbook expanding and becoming increasingly more complex. After a full year to digest the intricacies of the playbook, the Bears should be in the prime position for a comeback. The ten oldest quarterbacks to have ever played in the Super Bowl range from age 36 to age 38. The record of these ten QBs is 5-5. At 31 years old, Cutler does not appear too old to win the Lombardi Trophy. If anything, it seems he’s reaching his quarterback prime. Why would we want to cut bait with the most talented signal-caller in franchise history at the beginning of his prime? He turns the ball over too much, and the timeliness of these mistakes can often cost the Bears, but the talent is too tantalizing. Turnovers are easy to correct, but talent isn’t learned overnight. In 2007, the New York Giants won the Lombardi Trophy with Eli Manning, a quarterback who threw 23 touchdowns and 20 interceptions, resulting in an interception rate of 3.8%. In 2011, that very same team with that very same quarterback won the championship. The difference is that Manning’s stat line read 29 touchdowns, 16 interceptions, and an interception rate of 2.7%. It IS POSSIBLE for Cutler to have a season of sub-3% interception rate. 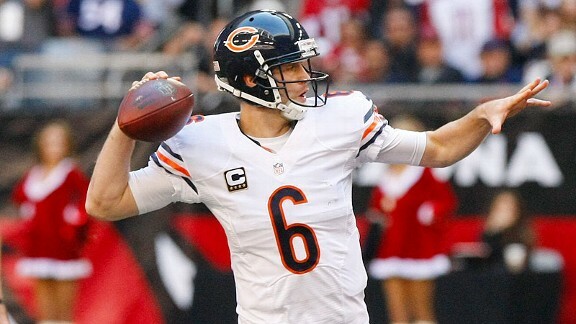 It is possible for Cutler, at least for one magical season, to lead Chicago to the Super Bowl. 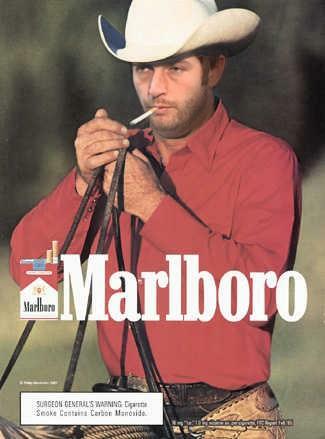 QB1 is the immortal Jay Cutler. QB2? Brett Favre. (Courtesy of Bill Simmons of Grantland.com: http://grantland.com/the-triangle/welcome-to-the-week-12-thunderdome/). Teams would not be interested in Cutler if he was a bad quarterback. He would be treated the same way Kyle Orton, Mark Sanchez, and Brandon Weeden were treated the previous off-season. Those players generated very little buzz when they hit the open market. However, since this is not the case with Cutler, the Bears’ front office should use this interest as a message: he is a good quarterback. The team needs to give him more time, and possibly a better defense, in order to help him flourish. The majority of the pieces are there, the team just needs to exhibit some patience and trust in order to finally end the thirty year championship drought in one of the greatest sports teams in the country. This past Saturday, the Utah Utes were routed 51-27 by the Oregon Ducks. The game was much closer than it appeared, especially early on in the first quarter. The key play occurred early in the second quarter when Utah’s Travis Wilson connected with Kaelin Clay for what appeared to be a 78 yard score. However, Clay never crossed the goal line with the ball; he dropped it on the one yard and not in the end zone. This led to Oregon’s Joe Walker to run the fumble a hundred yards for a touchdown. The 14-point swing was enough to completely change the momentum of the game: sapping it from Utah advancing the drive of Oregon. The Ducks would score 24 unanswered points in the second quarter, sealing the fate for the fourth ranked team in the country. Kaelin Clay is not the first player to make an in game gaff like the one on Saturday night; DeSean Jackson and the infamous Leon Lett are the first two names to come to mind. The incident this past week highlights a problem that has slowly emerged in the league ever since “Neon” Deon “Primetime” Sanders was drafted: some players are more concerned with showing off than actually producing. While it is understood that football is a sport driven by stars, like Peyton Manning, Richard Sherman, and Jamesis Winston, the desire to become a star should never outshine the desire to be a great player. Players who are considered “stars” did not rise to such heights by having the flashiest highlights or most ridiculous plays; rather, they earned that recognition through hard work and results.